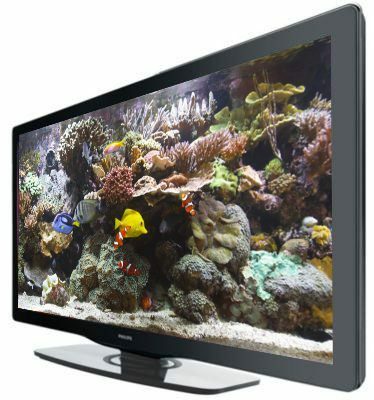 Win an HDTV prize pack from BluScenes by Scenic Labs! Are you ready for another big giveaway HDD readers? BluScenes by Scenic Labs is giving away a gigantic prize package that will have people racing to the forums for a chance to win! What's the prize pack you're asking? Well, How does a Phillips 40" LCD 1080p TV (40PFL3705d/F7) sound? Not enough? 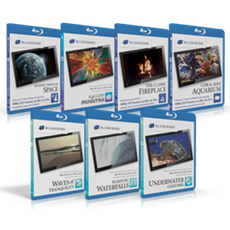 Well, the giveaway also includes a Megabundle from BluScenes, which includes seven discs of beautiful 1080p ambient Blu-ray discs, including 'Journey Through Space,' 'The Classic Fireplace,' 'Majestic Waterfalls,' ' Gallery Moderna,' 'Underwater Cozumel,' 'Waves of Tranquility,' and 'Coral Reef Aquarium.' This giveaway prize package also comes complete with a copy of Spears & Munsil HD Benchmark. This stellar prize pack from BluScenes by Scenic Labs can be yours easily. All you have to do to enter is visit the BluScenes by Scenic Labs website, pick your favorite "scene," and then come on back to the forum linked below and announce to the world which BluScene you like the best. That's it! That's all you have to do, and at the end of this week you could be the proud new owner of this amazing prize pack. So what are you waiting for? Hop on over to BluScenes, pick your favorites, then come back to the forums and enter to win! Also, as a part of this promotion, you can also order the Megabundle, usually $49.95 ($105 if sold separately) for only $21.95. That includes U.S. and Canadian shipping!